This course is funded by Heritage Lottery Fund and Halsway Manor; there is no charge to participants. Booking is essential - call 01984 618274 ext 1. A sandwich lunch is included. 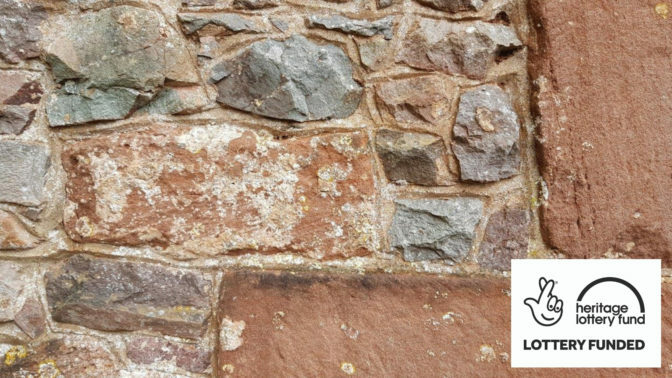 A hands-on training day looking at the use of lime mortars for re-pointing, led by Mark Rees, one of the UK’s leading experts in the use of traditional, sustainable building materials. The day will start with an introduction to the use of lime in construction, followed by practical sessions before and after lunch. Mark will guide you through the re-pointing preparation, application and finishing stages, with ample opportunity to ask questions throughout the day. This course is funded by Halsway Manor and Heritage Lottery Fund; it is aimed at people who would like to learn these skills with a view to volunteering in the future, eg. for organisations such as Quantock Hills AONB, Exmoor National Park, National Trust etc. All tools, materials and personal protective equipment will be provided, but please bring suitable outdoor clothing and footwear (you will be working out doors). Mark Rees is Mike Wye’s Conservation Team Manager. Mike Wye & Associates are passionate about sustainable and environmentally conscious construction. As well offering a specialist manufacturing and supply service for ecological building and decoration, they also have an in-house building conservation team specialising in both traditional construction and ecobuild.